Does Debt Management really work? 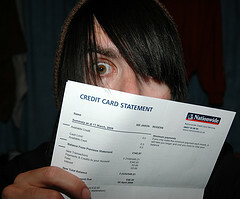 Will I improve my credit score with Debt Management? Will debt collectors start leaving me alone? These are just a few of the Frequently Asked Questions about Debt Settlement. We get them all the time, even though we have numerous blogs about all of the aspects of debt management. The truth is, anytime someone gets into trouble having accumulated too much debt, fear of the unknown and misunderstanding about what debt collectors can, and can't do, takes over. Almost everyone in America has some form of debt. Many people use debt wisely and are OK. But many people (people just like you and me) have gone through, or are going through a very tough time, financially. How do you deal with to much debt? What can debt collectors do to me? Can they levy my bank account or garnish my wages? To be honest, I'm scared! Over the next three series of blogs about Dealing With Debt, I hope I can answer most of your questions and help alleviate some of the fear and misunderstanding associated with having too much debt. SECURED DEBT, such at your home, auto, Federal Student loan, etc. have to be dealt with differently. I will address these in later blogs. "Debt Roll-Up" or "Debt Reduction Snowball Plan"
In the "old-days", well, not really that long ago, when a consumer got behind on their credit card payments, A non-profit, credit counseling (a tax entity title...yes they do make a profit...a lot of profit!) program was created to help people get back on track. And, a Debt Management Program IS NOT A FACTOR when calculating your credit score. Most Debt Management Programs last about 4-5 years, depending on how much debt you have, etc. Although a Debt management Program can help reduce the total amount of interest and fees you will end up paying until these debts are paid off, your required monthly payment may be more than you are making now! The Credit Card Industry realized several years ago that the worst thing that could happen to them, from a profit stand point, was to have their consumers actually pay off their credit cards. In the early days of credit cards, the minimum payment could be as high as 4%-5%, depending on each company's policies. Let's say you had a balance of $10,000 on your XYZ Credit Card, with an Annual Percentage Rate of 19% and a minimum monthly payment of 4.5% of the balance. On a balance of $10,000 at 19%, your annual interest charge would be about $1,900! Divide the 19% interest rate by 12 (12 months in a year) and you get a Monthly Interest Rate of 1.5833%. $10,000 multiplied by 1.5833% equals $158.33, but's let's round off to $158. Add the $158 to the $10,000 and you have $10,158, which is the NEW BALANCE. Multiply that by the Minimum Monthly Payment Percentage of 5%, and you get $507.90 or $508 as a minimum payment. So, you send in the $508 payment. Next month, you get your statement, and it shows $10,158 less your $508 payment leaves $9,650. But wait...there's that interest charge again! $9,650 multiplied by 1.5833% equals $152.79 or $153. Add $9650 plus $153 and you get $9803 as your New Balance (assuming you didn't make any more more charges!) Multiply that by 5% and you get $490.15 as your minimum monthly payment. Wow! Yes, in the "old days", your were forced to pay off your credit cards sooner (if you could afford the minimum monthly payment) and therefore saved more money in the long run. But, the Credit Card Industry got wise and decided to only charge 2% or maybe 2.5% as a minimum monthly payment. Without taking a lot of time repeat the above process, you should be able to see that on a balance of $10,158 if you only had to make a 2% minimum monthly payment, your payment would only be $203 instead of $508! That's $305 less! Good deal, right? For the credit card industry, it was a very, very good deal! But, for those of us who didn't think the process through, we thought, "Wow, I could barely afford the $508 miniumum monthly payment, but at $203, I can CHARGE UP ALMOST TWICE AS MUCH and still make the payment!" So, charge, charge, charge!!! And we know what happens. Now you have $20,000 of total unsecured debt at an average annual interest rate of say, 19%. But, you only have to pay 2% of your "new monthly balance" each month. OK, $20,000 multiplied by that annual interest rate of 19% divided by 12 or 1.5833% equals $317 of interest. Add that to the $20,000 and now you have $20,317. At 2%, that's a minimum monthly payment of $406. Cool! Your monthly payment on $20,000 is actually less than it would have been (back then) on $10,000. Watch out! We all know where this is heading! All kinds of calculations are out there on the web that show that if you only make the small minimum payments on your credit cards until they are paid off, you will end up spending 3-4 times as much as you originally borrowed! On $20,000, you could end up paying back $60,000 - $80,000 over many years! Good deal? Only for the Credit Card Industry! So, you call a Debt Management Company. They go through all the financial consultation (free and if not, hang up!) and determine that your Debt Management Program will be approximately $550/month, which includes their montly fee as well as an enrollment or set up fee to get started! But, if you have an extra $150 (that you could use to qualify for the Debt Management Program), you would be debt free in about 48 months and save thousands of dollars in interst and fees. Not bad at all, but there is another option. If you have the extra money, and the self discipline to set up and follow a Debt Roll Up/Snowball Plan, then you should consider doing this instead of using a Debt Management Company. Why? Well, of that $550 required in this hypothetical Debt Management Program, $50 (or maybe a little more) may be going to the Debt Management Company to administer the plan. Now, that's not outrageous, and if the program ends up not only saving you a lot of money in the long run and giving you peace of mind, then go for it. But, if you are like me, I like to do things myself if at all possible and, I don't like spending a dime more than I have too! I've written an entire blog about a Roll Up/Snowball Debt Program. Click here. But what if you are in deep financial trouble? Are retired and the fixed income from your Social Security and/or Retirement Plan is just not enough to keep up! Then you should check out a Debt Settlement Program. Is a Debt Management Program for you? It depends on many factors.